On Wednesday, the Season 10 European Poker Tour €10,000 High Roller saw the final ten players of a 176-entry field return to play down to a winner. It took less than six levels for a champion to emerge, and that man was Ivan Soshnikov, who defeated Olivier Busquet in heads-up play to capture the €382,050 first-place prize. Action recommenced in Level 21 (10,000/20,000/3000), and right away Soshnikov, who began the final ten ninth in chips, scored a double. He then played a huge hand that sent him on the way to victory. It began when Soshnikov opened for 40,000 from the cutoff and received calls from Oleksii Khoroshenin and Busuqet in the small and big blind respectively. When the flop came down , Khoroshenin led out for 60,000, Busquet folded, and Soshnikov called. After the dealer burned and turned the , Khoroshenin bet 75,000 and Soshnikov thought for a bit before dropping in a call. The completed the board on the river and Khoroshenin bet once again, this time 90,000. Soshnikov woke up with a raise to 230,000 and Khoroshenin hit the tank for several minutes. Eventually a clock was called and the floor began the countdown. After 30 seconds had passed, Khoroshenin announced that he was all in for 593,000 and Soshnikov snap-called off for 580,000 before tabling the for a flopped full house. Khoroshenin tried to muck but since it was an all-in situation the dealer exposed his hand, which was the . Just like that Soshnikov had chips while Khoroshenin would fall a short time later. The final nine combined to one table, but it wasn't the official EPT final table until Jeff Rossiter fell in ninth place. After Max Heinzelmann exited in eighth, Team PokerStars Pro Vanessa Selbst followed him out the door in seventh place. It happened in Level 23 (15,000/30,000/4,000) when Busquet opened for 60,000 from the hijack and Selbst looked him up from the button. The blinds both folded and it was heads-up action to the flop. Busquet wasted little time in betting 75,000, Selbst called, and the appeared on the turn. Busquet bet 100,000, and Selbst responded by moving all in for 265,000. Busquet snap-called and Selbst discovered the bad news. Selbst had flopped top pair, but she needed more help if she was going to crack Busquet's pocket rockets. The river didn't do it and Selbst, who began her incredible year with a win in the PCA High Roller, was eliminated in seventh place for €64,500. From there Andy Seth and Mike "Timex" McDonald hit the rail in sixth and fifth place respectively, and then current EPT10 Player of the Year points leader and EPT Barcelona High Roller champ Thomas Muhlocker joined them on the rail in fourth. It happened in Level 24 (20,000/40,000/5,000) when Dmitry Yurasov and Muhlocker saw a flop of . Muhlocker checked from the big blind and Yurasov continued for 80,000. Muhlocker check-raised to 250,000 and Yurasov clicked it back with a three-bet to 500,000. Muhlocker thought for a moment before moving all in. Yurasov checked his cards and made the call with the . Unfortunately for Muhlocker, he was out kicked holding the . 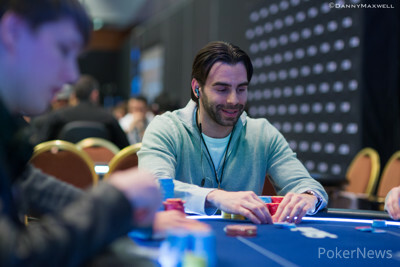 The turn and river meant that Muhlocker was done and had to settle for fourth place and €144,700. Three-handed play was an extended affair, but eventually Soshnikov dispatched Yurasov in third place, which gave him a huge chip lead over Busquet in heads-up play, which would end up lasting just two hands. 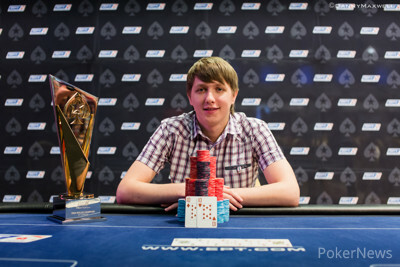 That does it for our coverage from the €10,000 High Roller. Be sure to follow the final table action from the EPT10 Prague Main Event by clicking here. In the first hand of heads-up play, Busquet had the button and made it 125,000 to go. Soshnikov simply folded. In the next hand, Soshnikov had the button and made his usual minimum raise for 120,000. Busquet raised him to 450,000 which was met by a quick all-in shove from Soshnikov. Busquet called with the and was in dire straits against the of Soshnikov. The final board ran out and the classy Busquet congratulated his opponent while shaking his hand. Cards are back in the air. Heads-up play begins with about 40 minutes remaining in Level 26: 30,000-60,000, 10,000 ante. 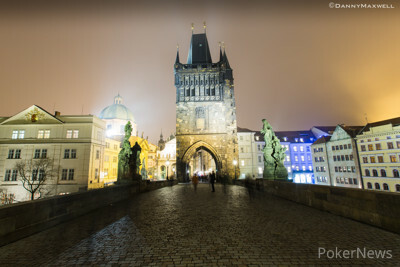 What's the Secret Behind EPT Prague? This festival in the Czech capital has been a roaring success, outstripping even the most ambitious expectations. 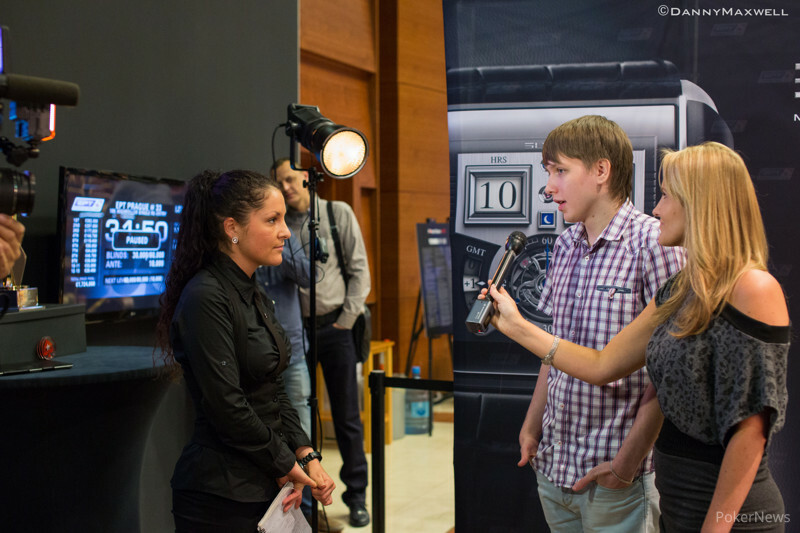 PokerStars Blog asks how they have managed to do it and finds a near-perfect storm. Read more about it here. The final two players have decided to take their dinner break a bit early. Cards will be back in the air in about 45 minutes. 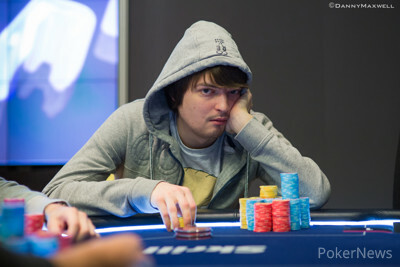 Dmitry Yurasov moved the last of his chips all in preflop from the small blind and was snapped off by Ivan Soshnikov. Yurasov held the against the of Soshnikov. The board ran out and Yurasov, who seemed dejected and slightly angry at how the last couple of hours played out, was sent to the rail in third place. With his new big stack Ivan Soshnikov is really seizing this table by the throat now, putting his remaining two opponents to the test time and time again. In this hand he raised on the button to 120,000, Busquet folded and the increasingly frustrated short stack Dmitry Yurasov made the call in the big blind. The flop was . Yurasov checked and called a bet of 100,000 from Soshnikov. Turn card . Again Yurasov checked and called abet of 150,000. The river was the . A last check from Yurasov was met with an all-in from Soshnikov and a disgusted Yurasov hurled his cards face down at the flop. Ivan Soshnikov opened for 100,000 on the button and Dmitry Yurasov defended from the big blind. Both players checked the flop and then Yurasov bet 125,000 on the turn. Soshnikov called, the completed the board on the river, and Yurasov bet 300,000. Soshnikov thought long and hard before dropping in a call, and he was glad he did as his was good against Yurasov's .